Bali Arts Festival (Pesta Kesenian Bali / PKB) 2015, will be open on June 13. Pesta Kesenian Bali / PKB (Bali Arts Festival) in this year will be open on Saturday, June 13th, 2015, in Renon, Denpasar. Just like in previous years, the opening of the arts festival will be preceded by a parade of arts. Arts parade will be held in front of the Monument Bajrasandhi, Renon, Denpasar. The parade was attended by all representatives of counties and cities in Bali, as well as representatives of art from friendly countries and other art institutions. 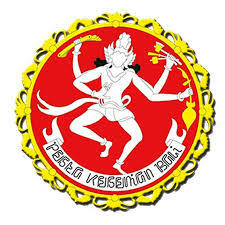 The themes on the Pesta Kesenian Bali/PKB (Bali Arts Festival) in this year is "Jagaditha: Strengthening Public Welfare". PKB 2015 matter still refer to the five subject matter, namely, parades, performances, competitions / parades, exhibitions, gatherings, and documentation. The parade in Bali Arts Festival (PKB) 2015 is still the same as in previous years, remained in the format of the procession walked through the invited guests were housed in front of Bajra Sandhi Monument, Renon, Denpasar. Parade, will be displayed various kinds of arts in Bali, the art of the provinces in Indonesia, as well as the art of the ambassadors of other countries, and other arts groups. The committee provides an opportunity for each regency in Bali to show the artistic creations with different formats. To dispel the impression of monotony. Bali Provincial Government and the committee that was formed, has been trying to work seriously festival schedule and concepts that will take place. To avoid the crux of the event and schedule are always changing, so it is not detrimental to the guests and tourists who deliberately want to see this festival. Bali Arts Festival (Pesta Kesenian Bali / PKB) is a festival of the year which is made by the provincial government of Bali to raise local arts in Bali. PKB also aims to attract tourists that visit Bali during the holiday season. The festival is attended by all representatives of regencys in Bali. They display all the typical art is owned. In addition, there are also representatives of arts from other provinces and other countries. Bali Arts Festival 2015 is planned to be opened by the President of the Republic of Indonesia, Joko Widodo, on June 13, 2015. The President will open the festival performances parade starting at noon, until the opening reception at the Arts Center Denpasar at night.